Times are good for New Media Investment Group, parent company of GateHouse Media and the State Journal-Register, Rockford Register Star, Pekin Daily Times, Freeport Journal-Standard and Peoria Journal Star. Times are good for executives like Josh Trust, recently promoted from his post as the Register Star publisher. Times are not as good for our members at these newspapers, who work in stripped-down newsrooms while enduring eternal wage freezes. 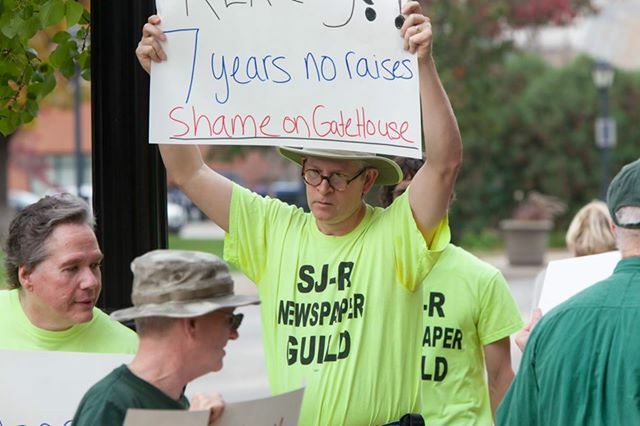 The United Media Guild is negotiating first contracts in Springfield, Rockford and Freeport and a new contract in Pekin. In each case, the company’s negotiator insists there is no money for raises. Instead, the positive cash flow from these properties is going to fund further New Media acquisitions and dividends for shareholders. If employees don’t like it, they can leave. And each of those newspapers have lost top journalists in recent months, subtracting additional skill and experience from their depleted news operations. Readers notice t he declining quality of these news operations, which suffered massive reductions under GateHouse. Advertisers notice too. The United Media Guild’s escalating public campaigns will shed more light how New Media/GateHouse is funneling money out of these markets. We’ve talked to thousands of readers, civic leaders and businessmen in these communities face to face. We’ve heard their concerns about these products. We have gathered supported cards, built contact lists, launched social media campaigns, drawn extensive media coverage and explored our own advertising campaign. People understand the critical role newspaper operations play in their region. They value strong local news coverage. 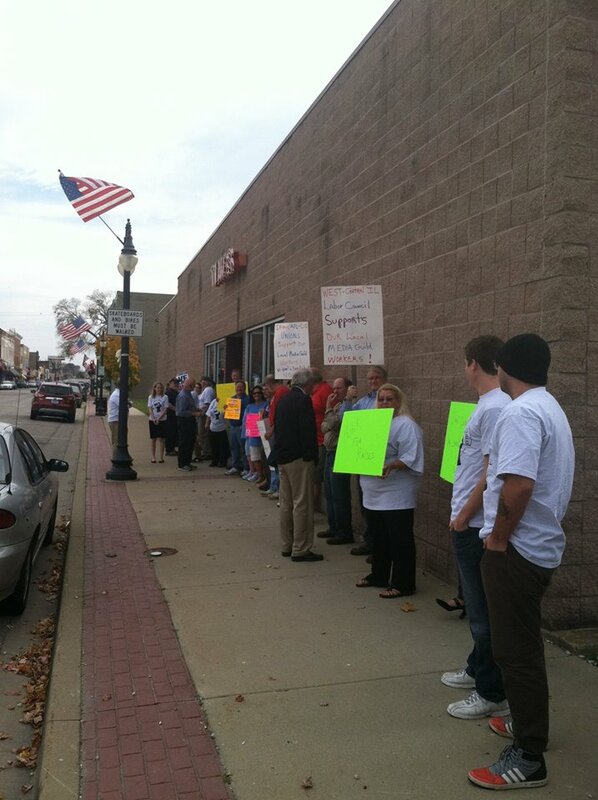 They are disappointed with what a New York-based company has done in their community. They want to help us. Those opportunities should come soon enough. Enough is enough.